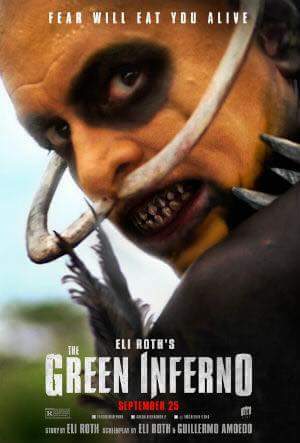 Eli Roth’s Green Inferno was inspired by Cannibal Holocaust and other Italian cannibal films of the late 70’s and early 80’s. Cannibal Holocaust is considered one the most brutal and controversial films ever made. I’ve seen it before and it is a very hard film to stomach. I’m glad to say Green Inferno is easier to handle. Don’t get me wrong, it still has some very gory scenes, but with all the gore, I was genuinely surprised that I liked the film. I mean the acting is passable. Some of the humor feels forced. For the most part the movie works as a homage to the genre without being too much of an exploitation and it’s one adrenaline rush of a film. It is a bit slow in the beginning but once they get to the Amazon, it is one hell of a crazy ride. If gory films like Saw doesn’t bother you and you want to go on a crazy ride, you should definitely check it out. ← Does I Hate Fairyland make the cut?